This Packers Punch recipe was created for Superbowl XLV in which the Green Bay Packers took the championship title away from the Pittsburgh Steelers in a well-fought game. Though that game took place in 2011, Packers fans can continue to cheer on their team and revel in that win with this easy whiskey punch. Mixing this drink is very easy. It is reminiscent of some of the recipes that have (misguided as they may be) been labeled as Lynchburg Lemonade. It could be considered a bourbon version of that popular drink that is made in bulk to quench the thirsts of a room full of football fanatics. For the Packers Punch, you will need just four ingredients: a great whiskey, an orange liqueur, lemonade, and soda. It is refreshing, light, and a perfect complement to spicy chicken wings. This punch will yield 8-10 servings, so it is easy to make ahead so that you can devote more time to watching the game. Add ice, stir to incorporate ingredients. Maker's Mark is the recommended bourbon for this cocktail and it is an excellent choice. The smooth, flavorful whiskey has the perfect profile for lemonade drinks. This is not the only whiskey that will work in the Packers Punch. Almost any bourbon or Canadian whiskey will make a great drink, so feel free to choose your favorite. If you want to add a more robust whiskey flavor, you may want to opt for one of the great rye whiskeys or even Jack Daniel's. After all, that is a proven favorite for lemon-based drinks. There are many brands of triple sec to choose from and, though not entirely necessary, this drink would be best with an orange liqueur that is in the middle to upper ends of the quality spectrum. Combier and Cointreau would be two that come highly recommended. Fresh is always best when it comes to lemonade. It is very simple and will take just a little bit longer to make the drink, but your guests will thank you for the effort. 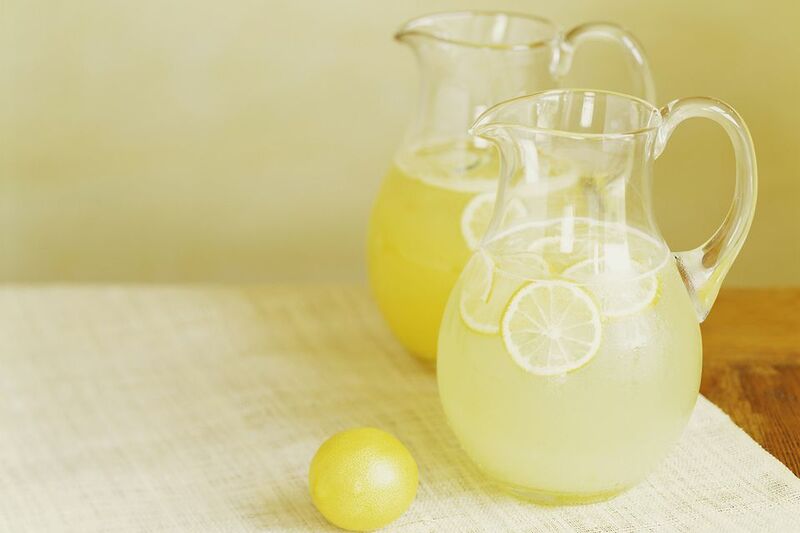 To get the 32 ounces of lemonade that this recipe requires you will need 16 ounces of water and 8 ounces each of fresh lemon juice and simple syrup. Count on at least 5-7 large lemons to get that much juice. If you are going to make this punch ahead of time, it will be best to add the soda just before serving to ensure that the punch doesn't go flat in the refrigerator. How Strong Is Packers Punch? Maker's Mark is a 90 proof bourbon and we will go on the high side of triple sec and assume that we will use an 80-proof option. With those two assumptions, the Packers Punch is surprisingly light at just around 11 percent ABV (22 proof). However, as many drinkers have experienced, it is very easy to have one too many glasses of punch, even the light ones.